Not satisfied with pushing wild tigers to the brink of extinction, the Chinese ‘tonic wine’ industry is now driving demand for leopard bones. We are appalled that leopard bone products are still being promoted in China. The use of big cat bones to produce ‘tonic’ wines is a major driver of illegal trade and the poaching of tigers, leopards and other big cats. 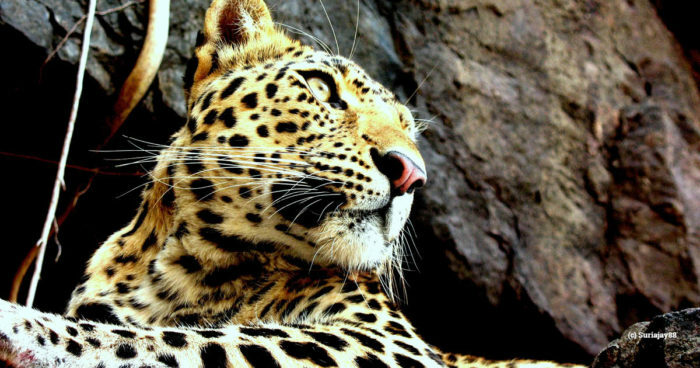 Since 2000, the parts of more than 4,900 leopards have been seized, destined for the market in China and likely representing a mere fraction of the leopard parts being trafficked. A number of so-called ‘tonic wines’ and traditional medicine products which list leopard bone as an ingredient are widely available in China. Despite the huge threat posed to wild big cat populations by demand for their bones, the Chinese Government permits trade in leopard bone products if the bones derive from stocks held prior to 2006 (when trade in new leopard bone was banned) and if the product is accompanied by an official label. However, the source and volume of those pre-2006 stocks of leopard bone have never been publicly declared, while the licencing and labelling system used for legalising wildlife trade in China has previously been exposed as a mechanism for laundering illegally sourced tiger parts and ivory. We have no confidence in the official labelling system and believe there are grounds for serious concern that the bones of leopards poached throughout Asia are being used by the industry. In March, an article in the Chinese media pointed out that Hongmao Yaojiu, a widely available tonic wine produced by the Hongmao Pharmaceutical Company, lists leopard bone among its ingredients list. The product bears no official Government label, calling its legality into question. Hongmao Yaojiu is a mass-market product – one media article noted that 20,000 sales of the product are recorded on just one online sales platform, Ali Health, every month. Based on statements from the company as to how much leopard bone is required to manufacture the product, and cross-referencing this with reported sales amounts, Chinese journalists have estimated that production of the ‘wine’ may have used the bones of between 90 to 130 adult leopards in 2017 alone. In a response to media reports, the company insisted the leopard bones are from legal sources and it is permitted to use them by Government authorities, but it did not specify these sources and failed to show any legal documents. Since these revelations, a huge amount of interest in China has been paid to the three-month police detention of a doctor who had questioned the safety and effectiveness of the ‘wine’ in an article, describing it as “poison”. He was arrested by the Inner Mongolia Police in January on suspicion of “damaging the reputation of a company”, a crime punishable by two years in jail. The series of scandals, especially the doctor’s detention, have triggered outrage among the Chinese online community; one activist has asked the Inner Mongolia Food and Drug Administration to reveal the company’s source of leopard bones. 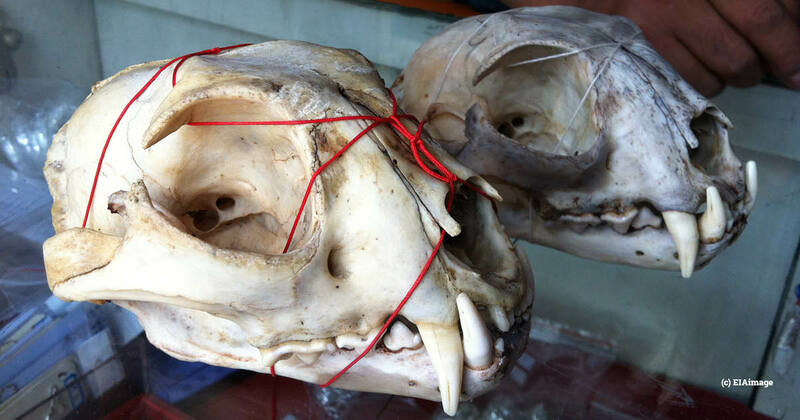 This case highlights both the massive scale of the Chinese market for big cat bone products and the fact that allowing a parallel legal market in endangered wildlife products complicates enforcement efforts and stimulates consumer demand. The only way to stop the killing of leopards and other big cats for trade is to end all commercial trade in their parts, from any source. We are calling on the Chinese Government to finally outlaw all trade in the parts and products of tigers, leopards and other big cats, including from captive-bred animals. It is time for a zero-tolerance approach to big cat trade.